The Vineland Rotary Club’s newest member, Rev. 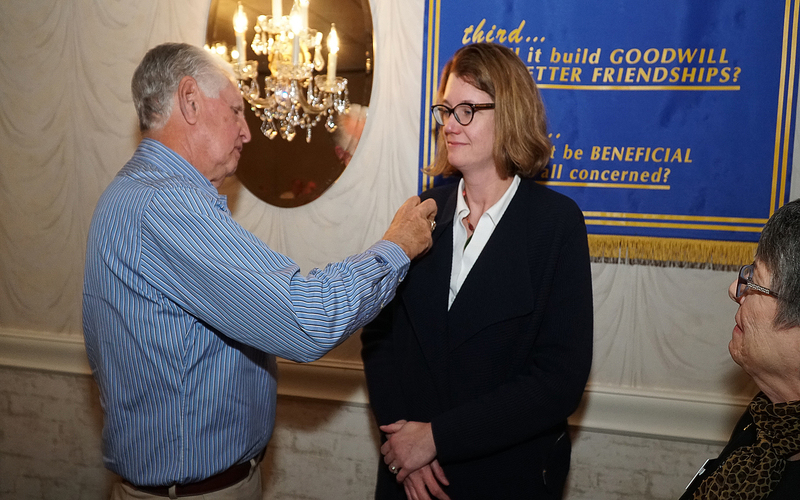 Heather Sugden, receives her Rotary pin from her sponsor, Rotarian Ed Morvay, during a recent Rotary Club meeting at the Ramada of Vineland. PHOTO BY JAY PARKS. Posted November 30, 2018 & filed under Rotary News.